Despite the three months that remain until kickoff, a handful of NFL teams are vying to stay in the conversation among the league’s best defenses long before they play a single snap in 2018. • More aggressive Patriots defense in 2018? During the offseason, these teams took steps via pricey free-agent acquisitions, trades and the draft to make marked improvements to their defensive personnel; moves that aim to bolster the championship aspirations many of them already had. Here’s a look at where things stand for the top five defenses from last year, from roster additions and subtractions to how much better or worse each got, as well as which other team might crack the top five by the season’s end. 2018 outlook: The Vikings already had one of the most talented defenses in the NFL before they signed Sheldon Richardson to a one-year deal in free agency. 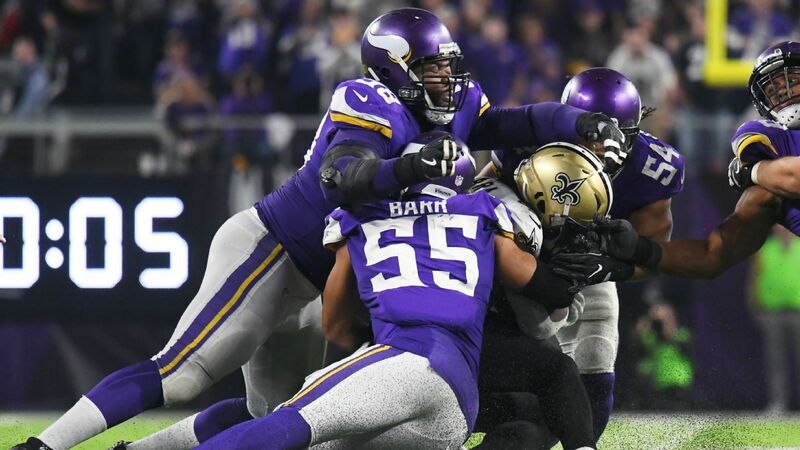 Adding Richardson to the league’s reigning top defense not only upgrades the 3-technique spot, it solidifies Minnesota as a Super Bowl contender. Richardson earned a top-10 pass-rushing grade from Pro Football Focus last season and should provide a serious push from the interior next to Linval Joseph. Between those two and edge rushers Everson Griffen, who is coming off a career sack year despite battling through plantar fasciitis, and Danielle Hunter, the Vikings will rival the likes of Philadelphia and Jacksonville as the best D-line in the NFL. Mike Zimmer’s stout defense finished first in yards (275.9) and points allowed (15.8) last season while holding quarterbacks to a 73.0 passer rating. The rich got richer in the draft when Minnesota focused a bulk of its efforts on adding depth pieces, from selecting cornerback Mike Hughes at No. 30 to drafting players to compete for a spot in the defensive line rotation, an element that was missing in 2017.